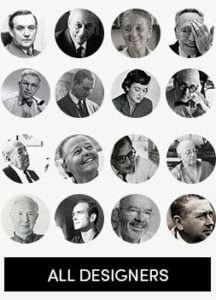 Alvar Aalto is recognized as one of the greatest masters of modern architecture and is one of the founders of Artek. 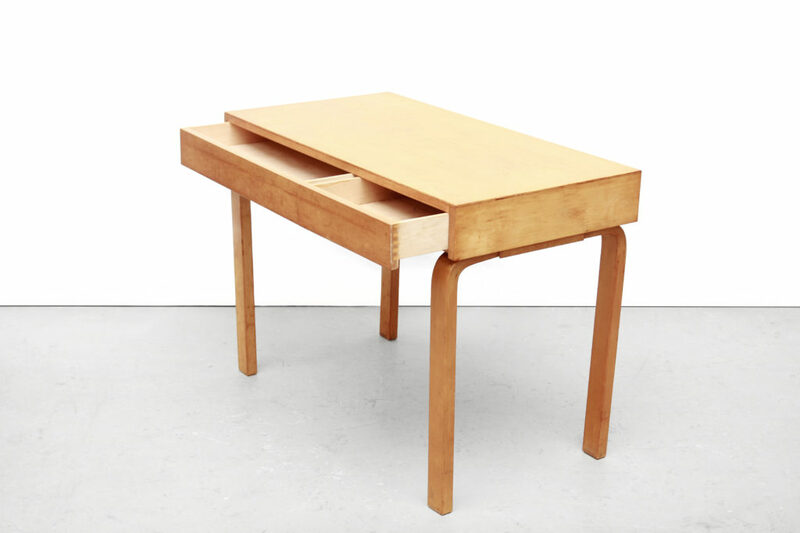 This desk is a very rare pre-war (1935-1940) desk designed by Aalto and manufactured by Artek in Finland. 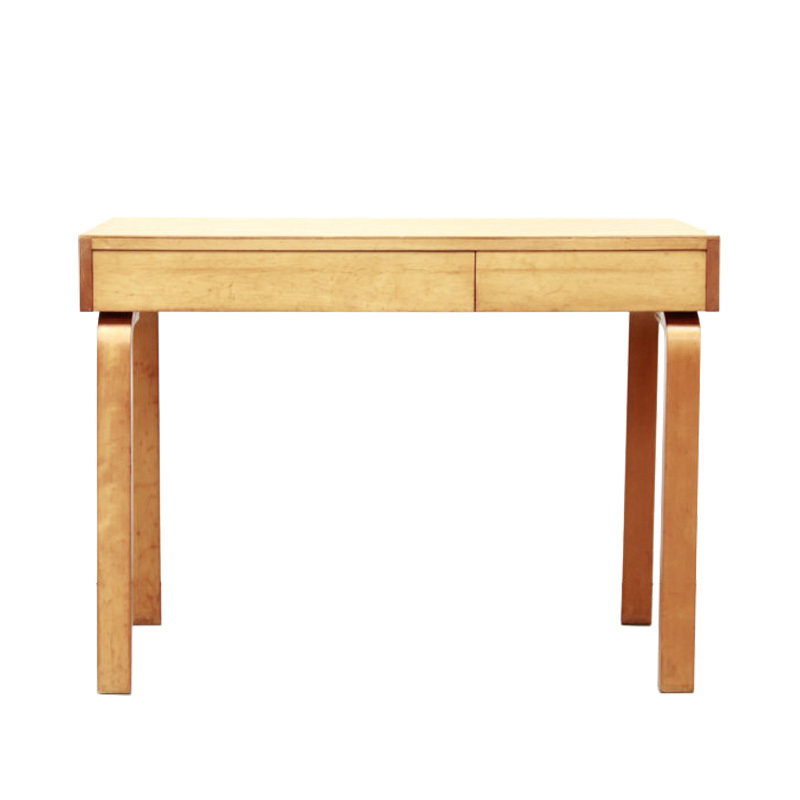 The desk is made of solid birch wood and birch veneer. 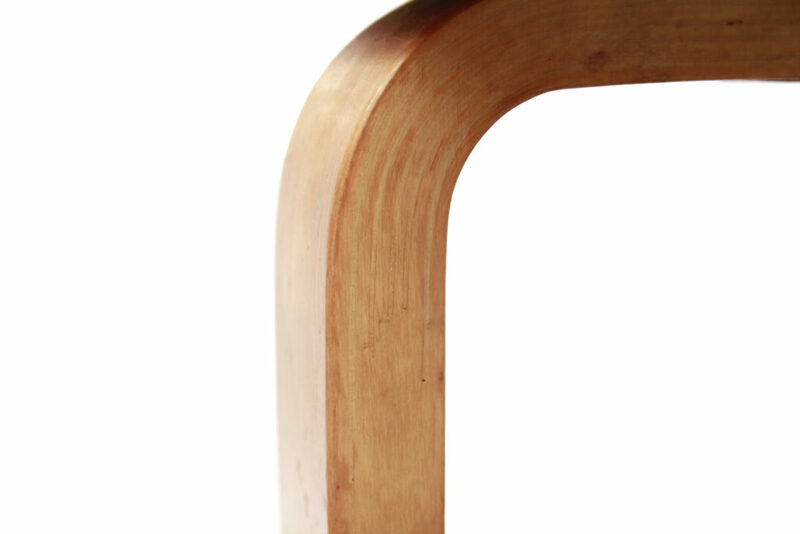 This piece features the iconic L-shaped curved wooden legs that Aalto has used for several designs. 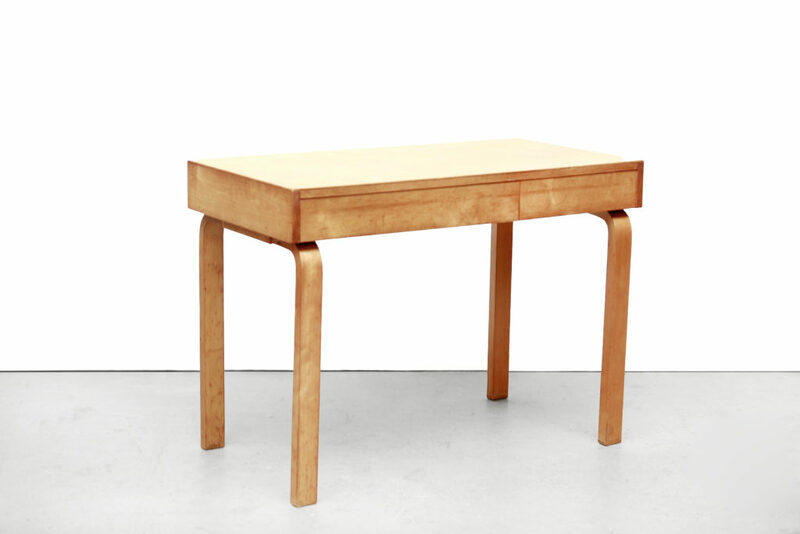 The origin of this writing table is just as special. In the 1950s there was a radar station in Noordwijk in The Netherlands which secretly made listening devices for the American CIA to spy on the Russians during the Cold War. This happened under the code name ‘project armchair’. We bought this desk from the man who now lives in the same radar station where he, as a little boy, made the foam interior for the suitcases for the equipment. There is an old polygonal journal fragment of the radar station, where you can see this desk. 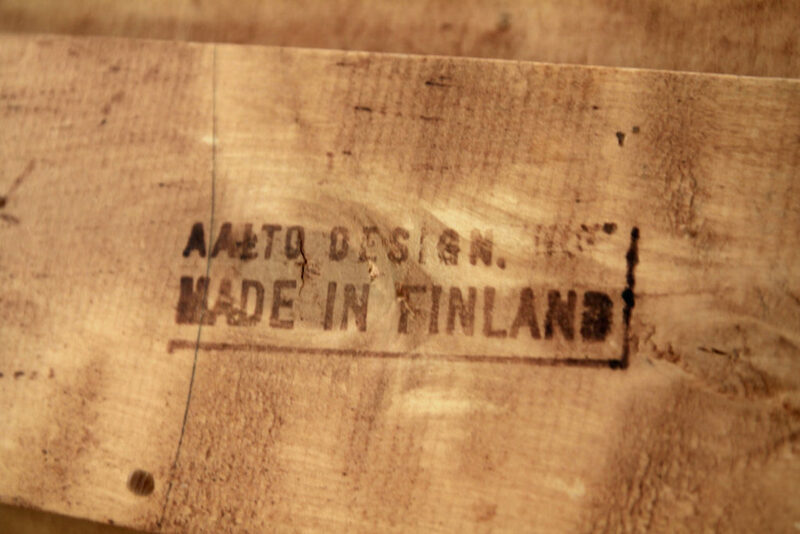 The desk is stamped with: AALTO DESIGN – MADE IN FINLAND. 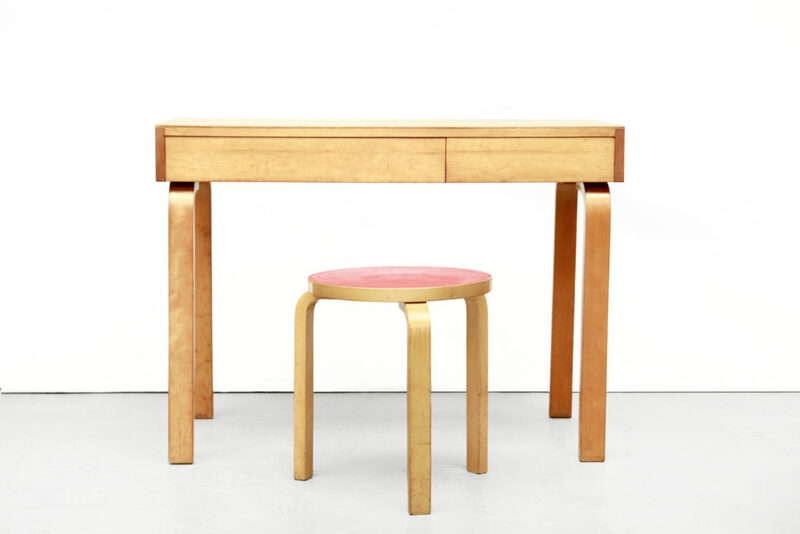 This desk is a beautiful unique and rare piece of furniture on its own, even without the provenance. 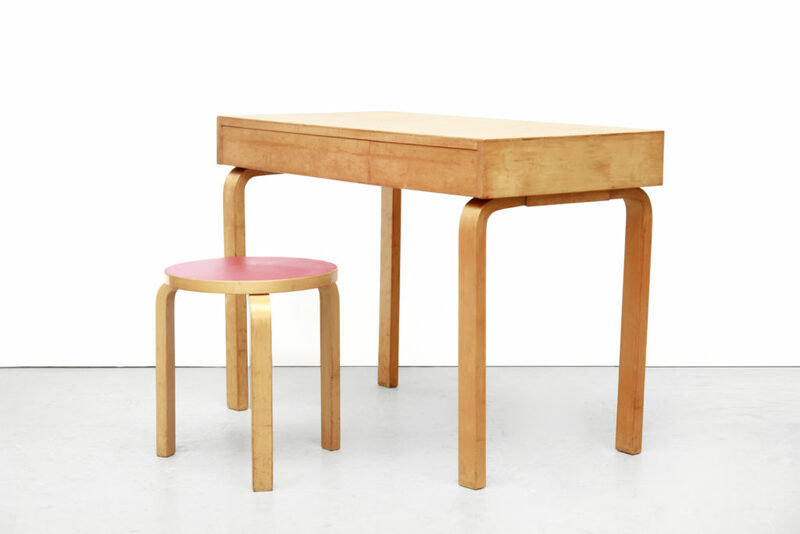 The stool with red laminated linoleum top is also an original design by Alvar Aalto for Artek but is slightly newer than the desk.